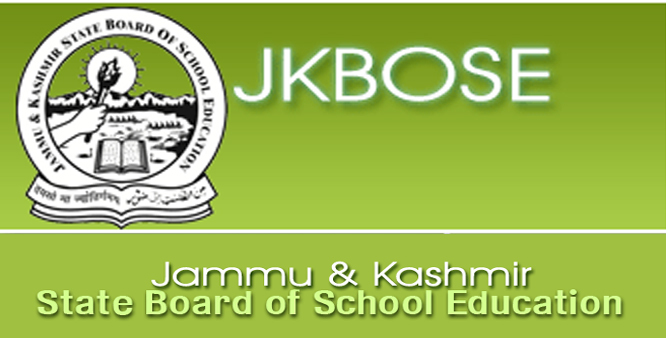 JKBOSE postponed Class 10th, 12th Examinations. JKBOSE Class 10th Science exam Cancelled. JKBOSE Change pattern / design of question papers for Class 11th question papers. JKBOSE Date Sheet For Class 12th Bi-Annual Session 2018-19. JKBOSE Date Sheet For Higher Secondary Examination Part-ll (Class 12th) Bi-Annual Session 2018-19 for District Kargil including Tehsil Gurez, Machil, Keran and Tangdhar. TIMING: 10: 00 AM. JKBOSE Date Sheet Class 10th Bi-Annual Session 2018-19. JKBOSE Date Sheet Class 10th Bi-Annual Session 2018-19 JKBOSE Date Sheet For Secondary School Examination (Class 10th) Bi-Annual Session 2018-19 for District Kargil including Tehsil Gurez, Machil, and Tangdhar. TIME:- 10:00 AM.